323. 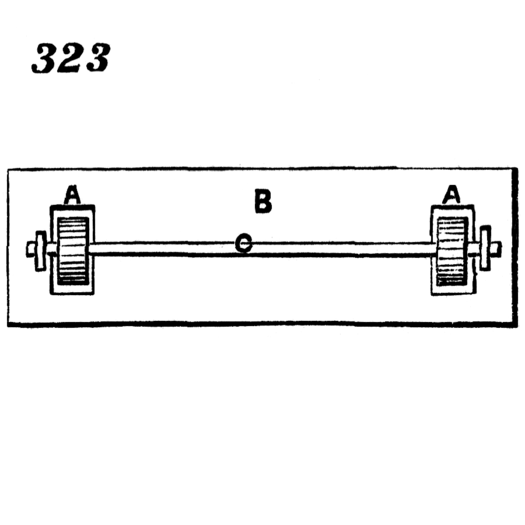 Parallel ruler consisting of a simple straight ruler, B, with an attached axle, C, and pair of wheels, A, A. The wheels, which protrude but slightly through the under side of the ruler, have their edges nicked to take hold of the paper and keep the ruler always parallel with any lines drawn upon it.